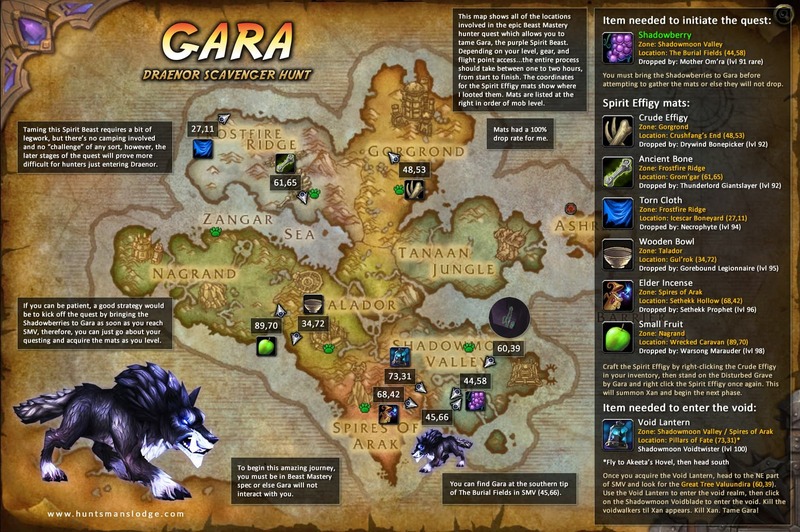 I know I’m a little late to the party here, but I gotta say…I really enjoyed the Gara taming adventure. I had so much fun with it, I put together a map with some helpful tips so that hunters who still desire to add this coveted Spirit Beast to their stable might have an easier go of it. I’ll stop back in and update this post with a bit more info and screenshots, but for now, enjoy the infographic! Feels good to update the site again! I can’t believe it’s been a year since I last posted. Bad Garwulf, Bad! Hopefully those of you still using my UI comp have been able to keep the addons updated and things running smoothly, but for those of you waiting on me to update things so you can try it out, I’m getting close to uploading it. There were some annoyances I needed to smooth out, addons to replace, etc…but I feel this configuration is pretty usable and stable now. This screenshot doesn’t reveal much, but I’ve kept things very minimalist, yet I’ve added some extra stuff in this latest iteration. 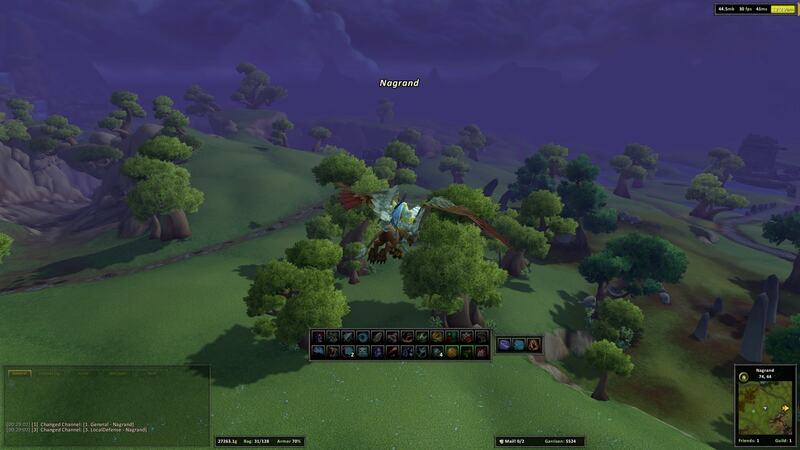 I also included an old school touch to the UI by incorporating some Blizzard textures. After fussing with ElvUI for a few days, I did this in revolt to the absurdly minimalist displays that some of the UI replacement packages leave you with. I’m all about having a large uncluttered world view, with things positioned where I want them, but this is World of Warcraft, and not some techie sci-fi romp. I actually like the feel of the traditional artwork and textures, and how they add to the ambiance of the game. This design compliments the default look of the game’s UI while having all of the advantages and goodness that a custom UI provides. 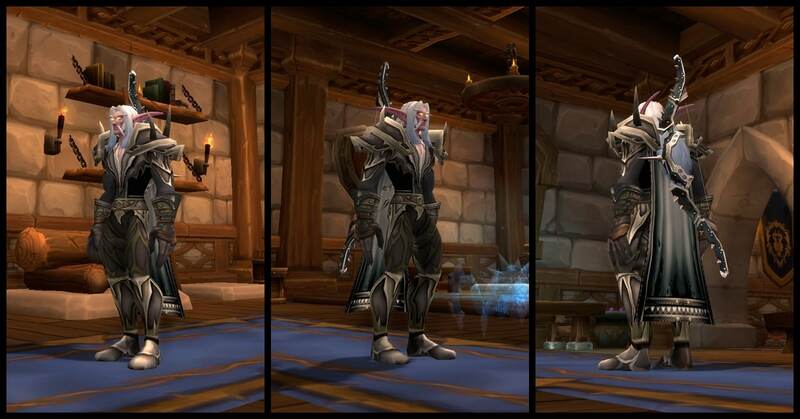 Some players go out of their way to strip every single bit of Blizzard artwork from their gaming experience. This time around I’ve decided to embrace it. 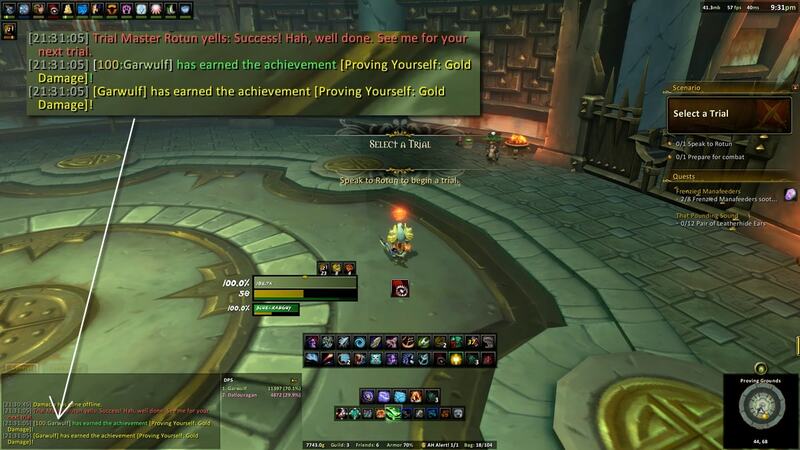 …your followers complete a Highmaul mission with a 62% chance of success, returning with some fancy new gloves. Apart from my vanilla PvP set (which is essentially an instant mog makeover), I haven’t ever farmed a transmog set for Garwulf…until now. 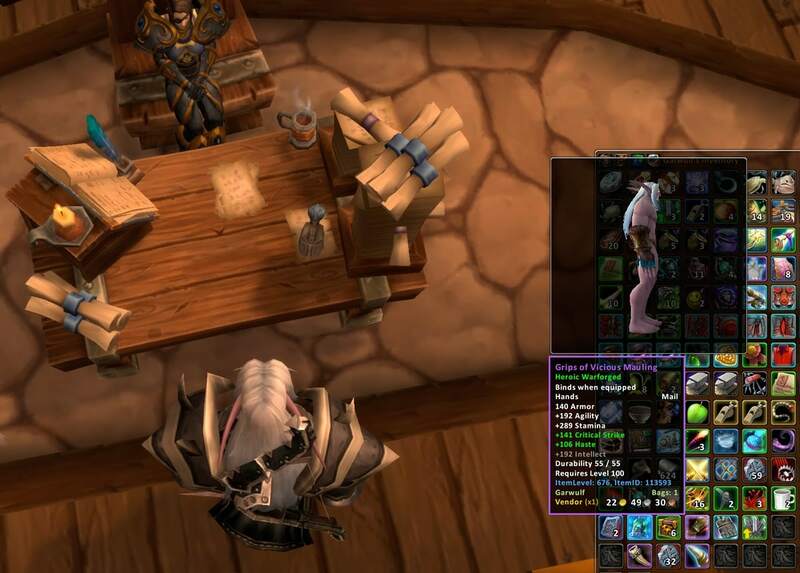 Those of you who are like…wtf…why are you posting this transmog fluff and not talking about huntering in WoD..?! Truth is…I’ve been enjoying the expansion all too much. 😉 Not since TBC have I enjoyed the game this much. This was one of the more challenging things I’ve done in awhile, and what fun! After quite a few failed attempts – which usually had me frantically mashing buttons during the final seconds of the 10th wave – I finally managed to down the last Sha with barely a moment to spare. My ilvl 601 gear consisted of a few decent PvP items, a couple dungeon blues, and some quest gear. I used my standard BM build along with a cheap haste potion to get the job done. After about 8 or 9 attempts that left me feeling a little inadequate, it finally occurred to me that the buffs that spawn during the encounter did not have to be used immediately.